Home > News & Views > FOS compensation hike. Hand me the black cap, will you. Just one hundred firms, including Panacea responded. Rory Percival commented in our LinkedIn discussion that “100 is a fairly typical response rate, more than many consultations, and hardly the fault of the FCA. Don't get me wrong; I have serious reservations about the result but to suggest the process is unfair is in itself unfair”. The FCA said that “proposed changes to the ombudsman service’s award limit will ensure more complainants receive fair compensation when the ombudsman service upholds their complaint against a firm”. At Panacea, we believe that this will see the end of smaller IFA firms due to impossible capital adequacy requirements caused by higher excesses to deal with £350k claims and a PI market that just will not want to play. It will be the end of anyone looking to start a new firm because of capital adequacy constraint. It will mean that PI premiums will get so high that only the largest firms could afford it. And, you guessed it, more firms falling into FSCS default with fewer firms being left to pay the increasing calls for cash. Truly, this is the industry, sorry profession, that will destroy itself. Why have they done this, or is it an April Fool a bit early? FCA chief executive Andrew Bailey reckons that: “Consumers and small businesses struggle with the cost and time needed to take firms to court, so it is essential they can receive fair compensation from the FOS when things go wrong. “We have listened carefully to the feedback we have received and believe our approach is right". Really? What feedback and from who? The consultation period was very short. The implementation date just weeks later. My view at the time of the consultation announcement, possibly quite wrong, was that the outcome was already decided and the consultation was to make sure that the process appeared to be correctly followed. 100 respondents is pretty poor and in itself an indication of the adviser community's lack of trust and openness in a flawed system. Historically, I cannot think of any consultation that that has seen an outcome that was contra to what either the Treasury, consumer groups or the regulator wanted. We were right regarding the outcome, this was not a consultation at all. Rory Percival reckoned, again in our LinkedIn discussion, that “just because the FCA didn't agree with responses, it doesn't mean it didn't consider the issues appropriately or that its approach was unfair”. This sounds a lot like Lord Meltchett's Court Martial of Blackadder. Blackadder's court martial was, shall we say, less than fair. Lord Melchett was the judge and Darling the prosecution. 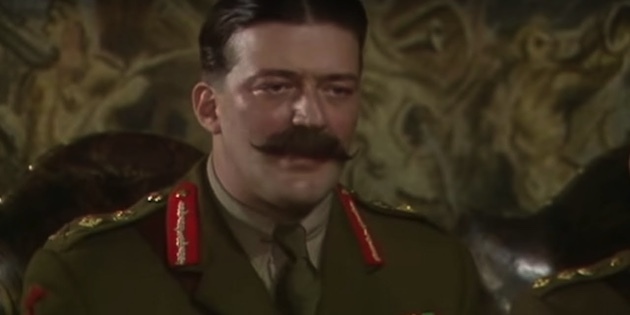 Meltchett opens the case by saying, "The case before us is that of the Crown versus Captain Edmund Blackadder, alias the Flanders Pigeon Murderer. Oh, and hand me the black cap, will you - I'll be needing that."